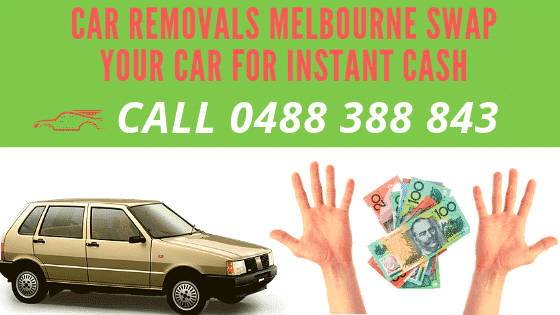 Car Removals Melbourne - Get Cash UpTo $8999 in Return Call Us Now! Express Cash for Cars is your Melbourne source for free car removals. We provide sellers with same day vehicle removals that pay cash for cars. Contact us to schedule your car removal today. The car may have been sitting on your property for years, and it has deteriorated to scrap, and you are sure that if it sits for any longer, an eviction notice is on its way. Perhaps, you’d love to dispose of the vehicle, but you do not have the time or the funds required for the towing fees. Possibly, a vehicle that you no longer have a use for, and want a quick way to get rid of. Whatever the condition of your car or truck, Express Cash for Cars provides Melbourne car owners with free vehicle removals. We are your local removal company that provides fast vehicle removals in Melbourne. A convenient car pickup Melbourne when you have the time to spare in your busy day. A convenient car collection that is provided by courteous professionals that are auto specialists. A convenient car pickup that is cost-free. A convenient removal anywhere in Melbourne at any time of the day. Express Cash for Cars provides Melbourne car & truck owners with free vehicle pickups. Vehicle pickups that do not cost a cent; and, ones that are fast and convenient. Although our car pickups are free to all Melbourne car owners, we do require a few things from the owners before we can schedule a free vehicle removal Melbourne. Firstly, car owners must contact Express Cash for Cars and obtain a cash quote for their vehicles. While our removals are provided at no cost to car owners, we do not remove vehicles unless we legally purchase the vehicles. Car owners can rely on Express Cash for Cars for a reasonable price for their vehicles of any make and condition. For car owners that accept our cash quotes, we then schedule a free car pickup Melbourne. Our collections are quick, being provided at a time of our customers’ choosing, and also include the cash payment as well as the paperwork to purchase the vehicle. Express Cash for cars will buy & remove private party vehicles, commercial vehicles and company fleets. Apart from cars, we also buy vans, trucks, caravans, 4WDs, SUVs, Buses, Utes and more. Our motto is to remove your car today and put cash into your hand for its removal. Anywhere in Melbourne, your vehicle is picked up at no cost. Anytime in Melbourne, we’ll be there to remove your vehicle. Get a free car collection today. Contact Express Cash for Cars for an instant cash quote for your vehicle that can be put into your hand today. Express does not require car owners take the time from their busy days to have their vehicles appraised. We provide cash quotes over the phone and online. Contact us at the number below or complete our online quote form at the top right of this page. With Express Cash for Cars, your vehicle is sold and removed for cash today. Call us for a top dollar offer for your unwanted vehicle to schedule a free car collection Melbourne at 0488 388 843.